Te Araroa is New Zealand's trail - taking in spectacular New Zealand landscapes from beaches to volcanoes to forests to cities. Alps 2 Ocean provide a range of shuttle transfer, inflatable kayak and cycle options between Arthurs Pass and Lake Ohau in Canterbury. An experienced local outdoor guide who wants to help enhance your Te Araroa trail journey while you pass through our region. Local advice and suggestions for food purchase ,camping ,accommodation or alternative trail options. If you are using our services you can arrange to send a food parcel. During the peak season in Canterbury Jan 11th onwards a regular shuttle service rate is from $35 to $40 pp to get out of a trailhead and the same to get back in. Transfer Prices that are based on a set minimum price for 2 people plus each additional person thereafter.Costs pp will then reduce as more join each shuttle or activity. Many hikers are using mountain bikes as a way of breaking the monotony of those longer gravel road sections.We either meet you with the cycles, helmet, repair kit, and lightweight cycle trailers or leave it locked at a prearranged point.With the trailers, you are able to carry your own pack easily be independent and not as tied to gear pickups from transfer vehicles.The bikes can then be locked up again at your destination for us to pick up when we can. Increasingly more TA hikers are cycling the Alps 2 Ocean trail between Lake Tekapo and Lake Ohau (100 kms)which also is the route for some of the Te Araroa trail. Cycles can be used by SOBO and NOBO walkers. Cycle hire is on a daily basis per person.We provide the bike lock combination when booking is confirmed.Cost from $95 pp,for 2 days hire. Harper Village /Wilberforce River to Glenrock stream trailhead. Freedom Hire of boats, paddles and paddling gear. We meet you at the Harper village campsite where you change into our river gear and take, dry bags for lunch and personal items. We then meet about 3 hours later with your pack at the Glenrock Stream trailhead. This is a lovely grade 2 wilderness kayak for about 18 kms. It saves you a big shuttle or walk around the Rakaia and you get a real added adventure. 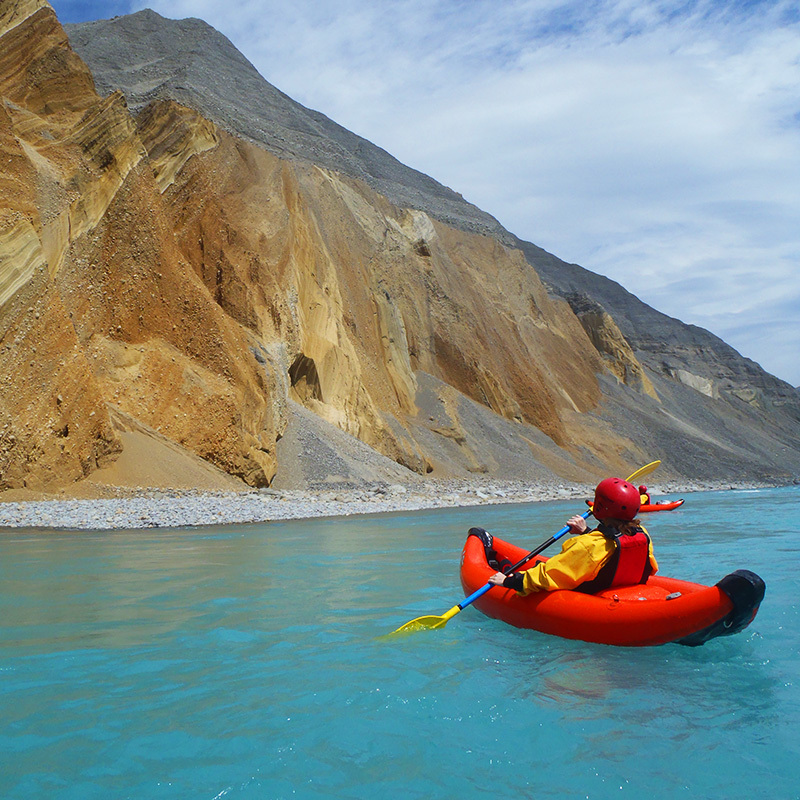 Kayak experience required as its self- guided. We can help with food pickup on the day if you need some fresh supplies.